The inaugural edition of the Timpuyog series reflected the richness of talent among the ecumenical youth. That was a resounding observation among the 70-plus attendees of “Timpuyog 1,” held on July 21 at Café Oikoumene. 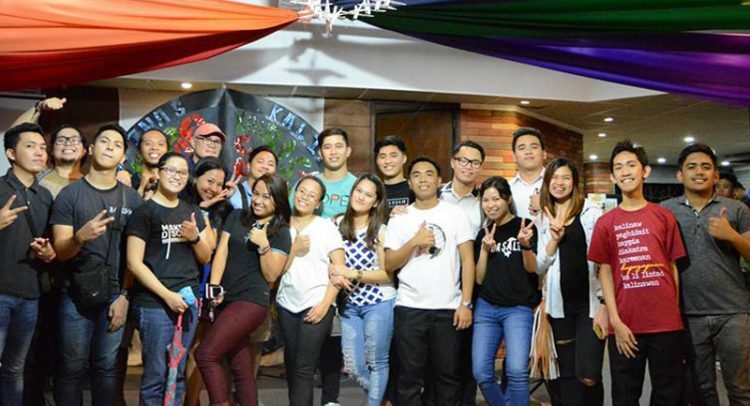 From Los Banos, Laguna, UCCP Christian Youth Fellowship’s Mariebeth Anicete saw the talent and energy emanating from the “night of art and fellowship.” However, she commented that many wanted to perform so the open mic was “bitin” (not enough). 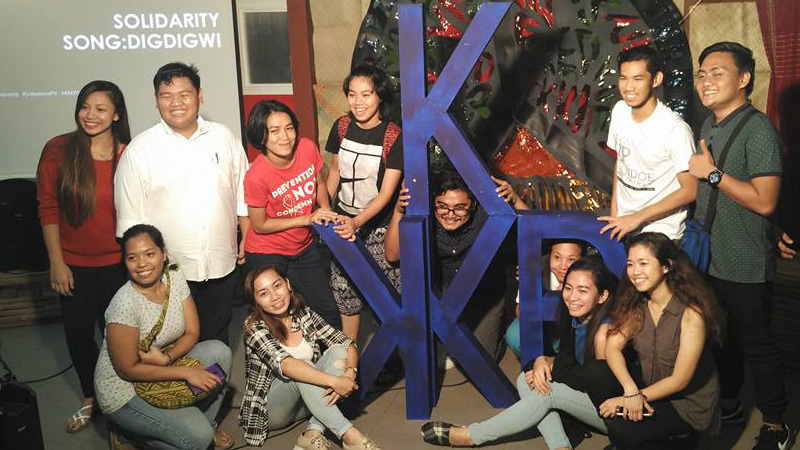 The program included performances from the Church youth organizations (CYOs) under the Kalipunan ng Kristiyanong Kabataan sa Pilipinas; and performance groups Teatro Ekyumenikal, People’s Chorale and Tubaw. There were open mic segments for participants who wanted to go onstage. A solidarity message was given by Nikki Salde-Azzam of KKKP Northern California. Deacon RC Gumban, the new executive assistant of the Obispo Maximo of the Iglesia Filipina Independiente, delivered spoken-word piece “Nanaginip Ako,” written by YIFI Eastern Pangasinan leader Richard Acosta inspired by his experiences at KAPPIA IV. The Timpuyog series feature events that use peace and peacemaking as the central topics. Timpuyog 2, which happens again at Café Oikoumene on August 18, will give special focus to the unpeace in Mindanao. The last event, Timpuyog 3, will be an ecumenical peace concert on September 8 at the National Council of Churches in the Philippines Ecumenical Ministry, UP Church of the Risen Lord. “Timpuyog” is an Ilocano term that may mean unity, synergy or gathering, a takeoff point for the rationale of the peace series. “Timpuyog perfectly encapsulates what our events represent: a coming together of the different churches and sectors, in unity, to affirm and celebrate and yearn and make peace, as children of God,” noted the concept paper for the event series.